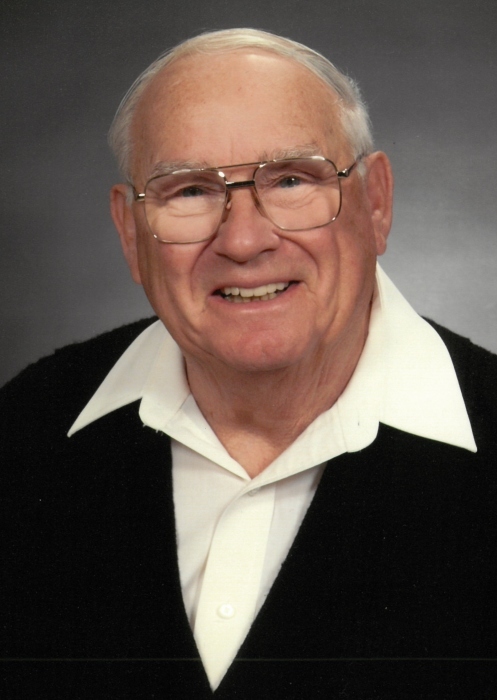 James A. Johnson, 83, of 9 Freeman Drive, Poquoson, passed away on 9 April 2019. He was a native of Waterloo, NY and a member of St. Joan of Arc Catholic Church in Yorktown, VA.
James was a quiet, selfless, gracious man with a heart of gold and never had a foul word to say to anyone. He valued his family above all other things, and worked selflessly his entire life to provide for them, providing them with opportunities to go far beyond his very humble roots. He would do anything for anyone in need, with special emphasis for his grandchildren, wife, and two sons. He grew up in a blue collar family in Upstate NY, working hard to get ahead, and married his high school sweetheart in 1959. As with most boys from that part of NY, he enjoyed hunting, fishing, and driving/working on cars. There was seldom a day where he wasn’t driving his car around town with his friends, and ultimately, his wife. He carried many of his friends forward to present day, with some of them ultimately becoming extended family members through marriage. Jim worked in two principal places to provide for his family. The first job was at Seneca Knitting Mill, in Seneca Falls, NY, where he worked hard in the production of socks and other knitted goods. His second job, from which he retired, was at Gould’s Pumps Inc. (now ITT Industries) in Seneca Falls, NY. At Gould’s Pumps, he worked on the pump assembly floor on the end suction side of the factory, successfully assembling pumps from very small size, to enormous industrial size pumps capable of pumping thousands of gallons per minute. He worked hard at the factory, standing for long hours, working with power tools and heavy equipment for 8-12 hours a day. He never complained, even when injured, and he had an amazing ability to get things done. His interest at work was to make money so that his kids wouldn’t have to endure the hardships he endured. He would most likely tell you that was his most significant achievement in life. Outside of work, Jim loved to be outdoors, and he loved sports. He was an avid Buffalo Bills fan, who suffered along with the rest of Central NY with their Super Bowl losses and frustrating losing seasons. He loved fishing and hunting, particularly going out to catch lake trout on Cayuga Lake, and one of his proudest achievements was placing first in the Rainbow trout division in a tournament in the early 1990s. He was also very proud of the boat he restored, and the fun times he enjoyed in it with his family. After both of his sons had left the house, he moved from Waterloo to Phelps, where he and his wife spent several years in a smaller house adjusting to life as empty-nesters. Never wanting to be very idle, he took a job as a school bus driver for small, disadvantaged children in Phelps, where he became enormously popular with the kids as their favorite bus driver. However, ever the person to help those in need, when he found out that his youngest son was being deployed to Iraq at the height of the uprising in 2008, he and his wife again uprooted and moved to Virginia to help take care of their daughter-in-law and grandchildren. Once established in their new home in Poquoson in 2007, Jim and his wife stayed involved with their children’s and grandchildren’s lives, including bringing their granddaughters to an amusement park every summer together, and frequently watching their granddaughters play high school sports, including field hockey. They also took time to go on trips, including some amazing trips to Hawaii and Alaska. Ever the gracious and supporting father, Jim also helped his son build an airplane in his garage. Even more impressive, he took several flights with him to various places along the East Coast. Jim beat the odds in many different ways. He was a successful pump assembler, saving enough money to improve his family’s lives. He had quadruple bypass surgery in 2005, and remained active right until the day he died. He was a blue collar man that didn’t complain, or bemoan his lot in life. He just kept going. He will be sorely missed by his wife, his sons, his granddaughters, and all of his extensive family and friends. However, we all know he’s enjoying talking to some people he’s not talked to in many years right now in Heaven, and that give us tremendous comfort. Preceded in death by his parents, Bernard and Magdalene McCabe Johnson; sisters Gladys Andre and Rose Benoit; brother, William Johnson, Jim is survived by his loving wife of 59 years, Sonia Jones Johnson; sons Matthew J. and Andrew P. Johnson and wife Jennifer Rook Johnson; sister, Emma Johnson Lerkins (Roger); grandchildren, Elizabeth, Samantha, Kellie and Alyssa as well as many other loving relatives and dear friends. Jim will be buried in Maple Grove Cemetery in Waterloo, NY on April 17. There will be calling hours at Doran Funeral Home in Waterloo, NY on April 16 from 4-7 pm, and his funeral mass will be held in St Mary’s Church in Waterloo, NY at 10 am on April 17.